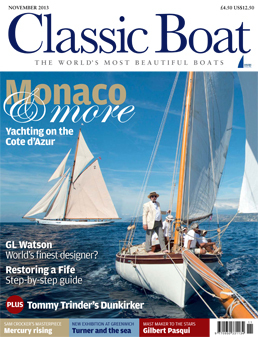 That’s the no holds barred title of a new article by Martin Black in November’s Classic Boat magazine – out now. “In the autumn of 1895, Scottish yacht designer George Lennox Watson excused himself from taking part in the final race of the 9th America’s Cup series aboard Valkyrie III, which he’d designed for Lord Dunraven, and closed the deal for the design and build supervision of four palatial steam yachts – the mega yachts of their day – to be built on the Clyde for American millionaires. This entry was posted in America's Cup, Clyde yachting, Clydebuilt, Firth of Clyde, G.L. Watson, G.L. 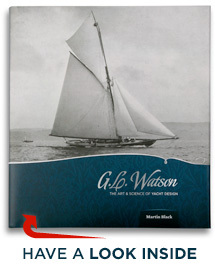 Watson clients, Martin Black, object of desire, Steam Yacht, yacht design, yacht designer and tagged Clyde-built, gift, Lord Dunraven, Valkyrie III. Bookmark the permalink.